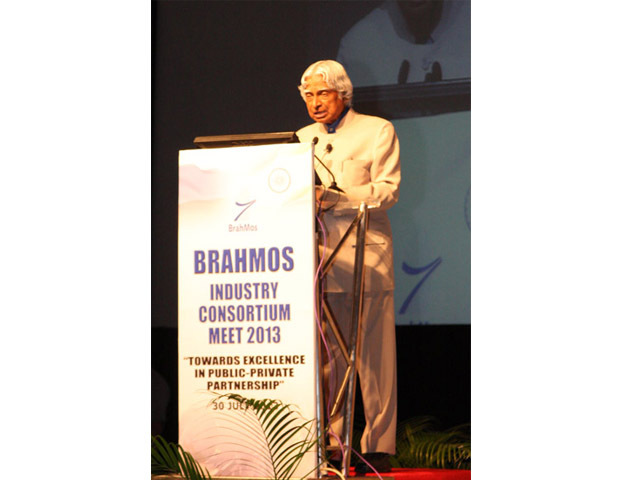 BrahMos Industry Consortium Meet 2013, held on 30th July 2013 at Hyderabad. Lighting of the Lamp ceremony. 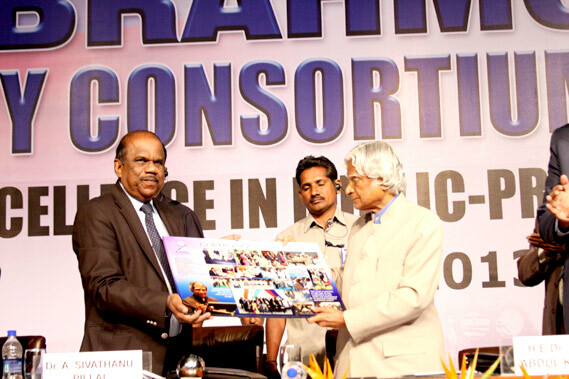 Dr. APJ Abdul Kalam, Former President of India, termed BrahMos JV as a fine example of role model of "courage and excellent leadership". 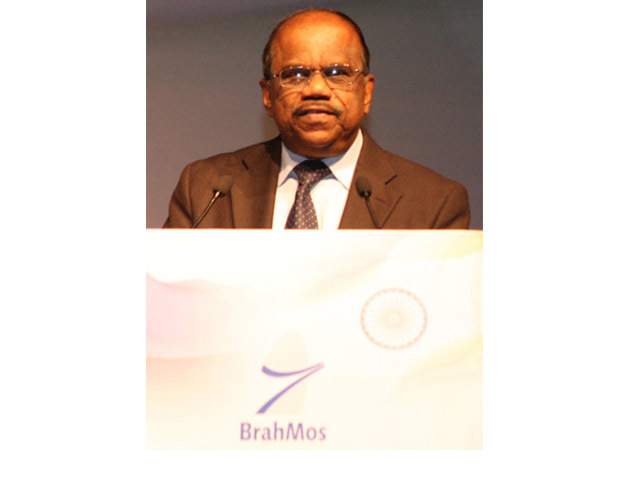 Dr. A. Sivathanu Pillai, CEO & MD, BrahMos Aerospace, giving welcome address on "BrahMos- a role model in public-private partnership". 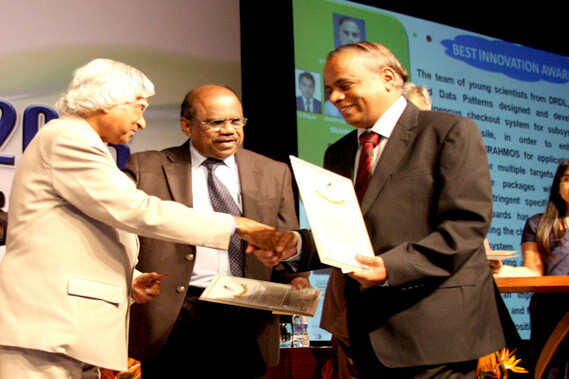 Mr. P. Venugopalan awarded "BrahMos Lifetime Achievement Award 2013". Larsen & Toubro Ltd., Heavy Engineering Division, Mumbai awarded "Best Industry Award 2013". Strela, Orenburg, a partner industry in the corporation of NPOM awarded "Best Industry Award 2013". Research Centre Imarat (RCI), Hyderabad awarded "Best Laboratory Award 2013". Mr. Victor M. Kiselev, Dy Director General of NPOM and Maj. Gen. (Retd.) 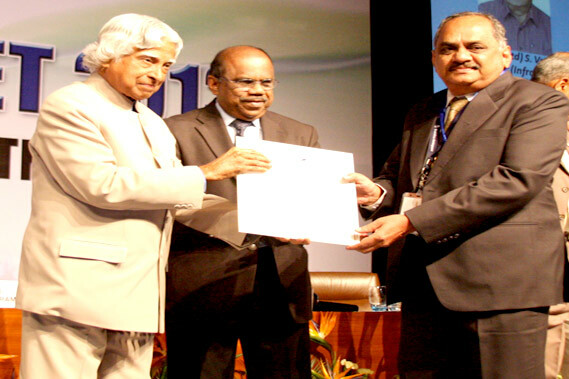 S. Vasudevan (in picture) awarded "BrahMos Excellence Award 2013". 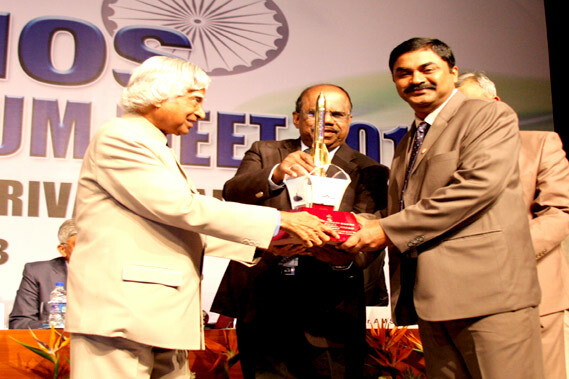 Mr. P. Varadharaj, Sc 'G', DRDO and Team awarded "Best Innovation Award 2013". 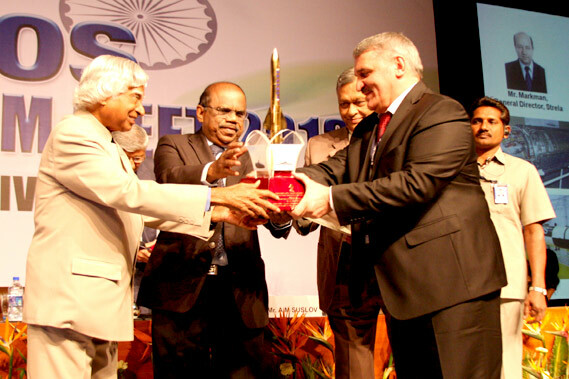 BrahMos Aerospace on 30th July 2013, felicitated five of its young and dynamic scientists with BrahMos "Young Scientist Award 2013". 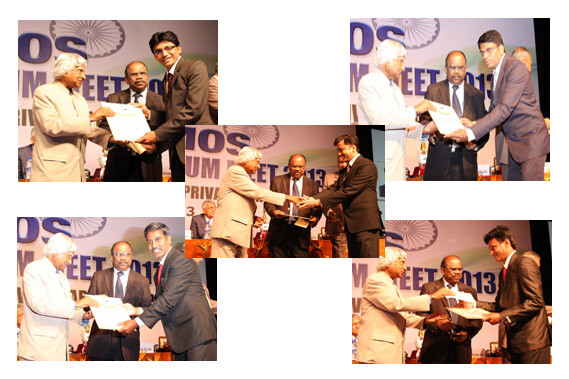 The "Best Employee Award 2013" was given to five individuals for overall outstanding performance as BrahMos employee. 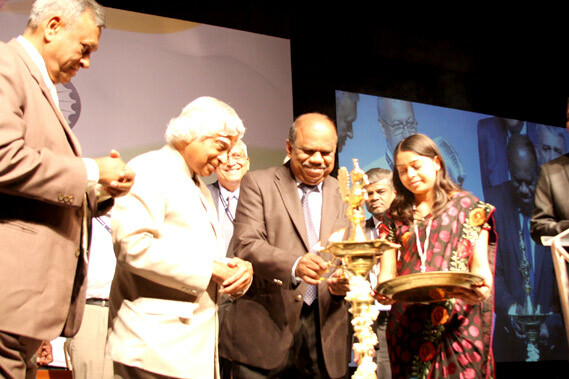 Presentation of Memento to Dr. APJ Abdul Kalam by Dr. AS Pillai during the "BrahMos Industry Consortium Meet 2013" at Hyderabad.